Timisoara is one of the most beautiful towns in Romania and is located in the western part of the country. The city gets its charm from its wonderful squares and beautiful buildings, which boast influences from a range of architectural styles, with unique facades and vibrant colours, and also the park with a multitude of species of roses and other plants. This city is also of great historical significance. It is home to some of the most famous museums in the country, such as the 1989 Revolution Memorial which was founded to commemorate one of the most important events in the country, the Romanian Revolution of 1989. Timisoara is also home to an open-air museum with traditional monuments on display, such as churches and houses decorated with stone, wood and clay, as well as an important collection of objects such as icons and other historical and arcgaeological items originating from the surrounding Banat region. It's hard to see who couldn't love Timisoara. In Your Pocket certainly does. 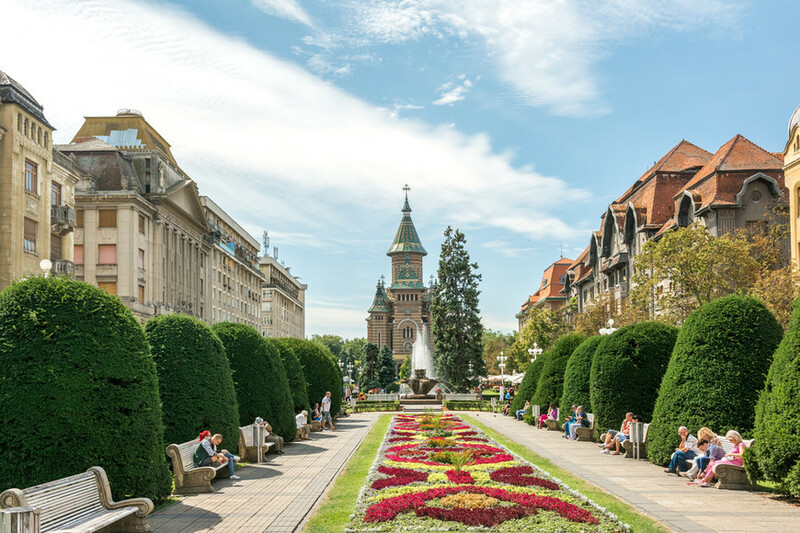 You can download our Timisoara Mini-Guide here, and for an aerial view of Timisoara and its surroundings, try the video here. Of note is the nearby city of Arad, which we have covered here.